Listen up, Caro! Erwin and I had the pleasure of being joined on the TSF podcast by Jonathan Scott, who has done tremendous things in these realms and also writes daily on Tennis.com for their gossipy thread, the Daily Spin. We were all about the post-Wimbledon gossip on this podcast, where the three of us weigh in on Novak’s grass-eating habits, what SW19 meant for Kvitova (and Sharapova) and how it’s possible that Caroline Wozniacki is playing this week — on clay! Plus! 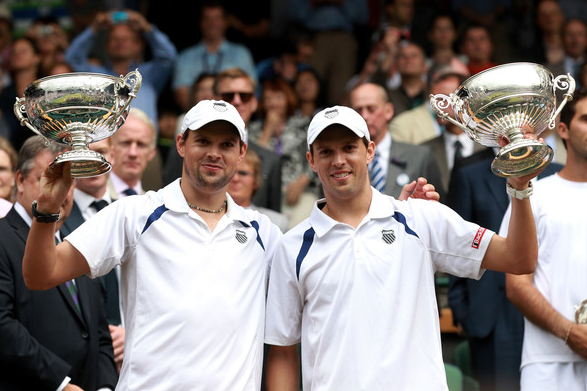 Our take on London fashion, our favorite moments from the 2011 grass Slam and how much this week really means to one Andy Roddick. Click on the link below to easily download our musings onto your iTunes! Say so long, y’all! 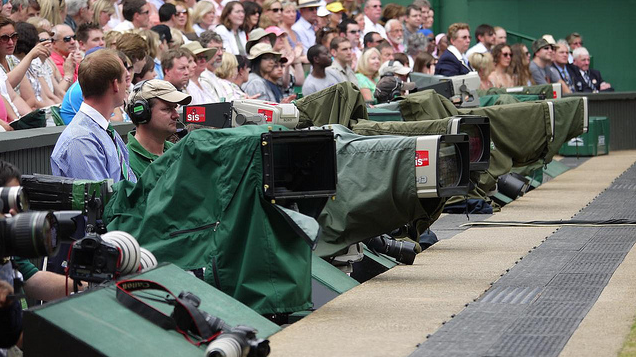 While we’re a little teary-eyed that Wimbledon is all finished and shuttered for the year, there is this to mull over: at this time next year, the Championships will be wrapping up and the Olympic Games — which will be held at the All England Club — will be just three weeks away. Yeah. Three. It’ll be glorious and strange all the same. 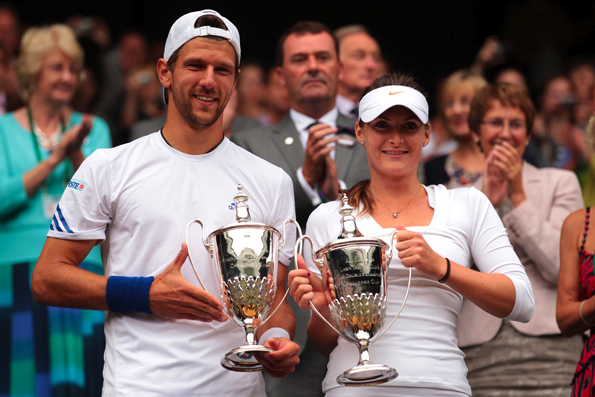 For all you Brits out there: The 2012 Olympics tennis jobs are up. Apply! There’s so many moments to love from the last two weeks. But which was your fave? Pick one below and leave behind a comment, too, if you so please. Do you have that in decaf? While Wimbledon gets unending press on the tradition of strawberries and cream, plenty of tennis fans need a little pick-me-up throughout the day, and we don’t mean an Andy Roddick serve in the gut. Enter Lavazza, the Italian coffee maker who teamed up with The Championships this year to bring the folks of rainy London a little bit of a bright spot in their day: caffeine. 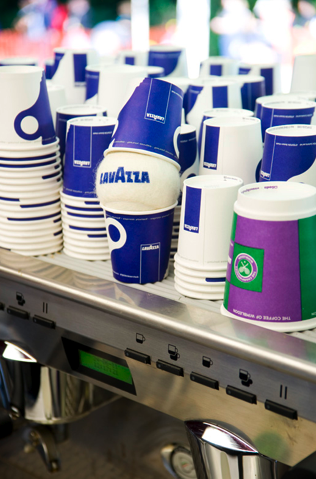 While you can’t make it over the Atlantic to try some of Lavazza’s creations at SW19, sip some espresso goodness and try to act as jazzed-up as Marcos Baghdatis‘ Cypriot fans while you watch/listen to/pretend to play in Wimbledon at home. Lavazza has two recipes for make-at-home goodness. 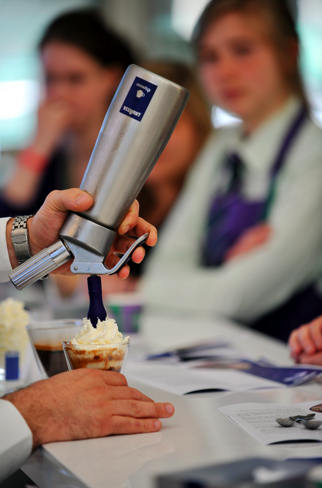 And while they recommend using a Lavazza A Modo Mio machine (with a custom Wimbledon covering) — we say just wing it! Or grab some espresso from the closest local cafe and then DIY at home! We have faith in you! 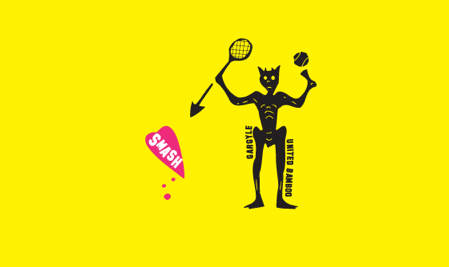 SMASH!-tastic: For all the attention it gets for being a tennis town, New York hardly has a lot to claim when it comes to tennis that happens on the island we all (well, most of America, that is) think of first when we think about the city: Manhattan. 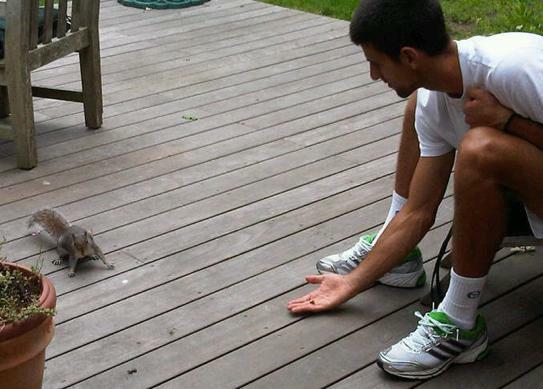 Courts are hard (and expensive) to come by, and availability — good luck, tookums. But a couple of weekends ago, downtown Manhattan not only got its tennis on for the day, it did so in fashion. Gargyle and United Bamboo fashion, that is. The boutique (Gargyle) and fashion line (United Bamboo) teamed up to host SMASH!, a day-long tournament, for a second straight year, this time venturing a bit west from the East River Park courts to those at Seward Park, on the fringes of Chinatown. SMASH! 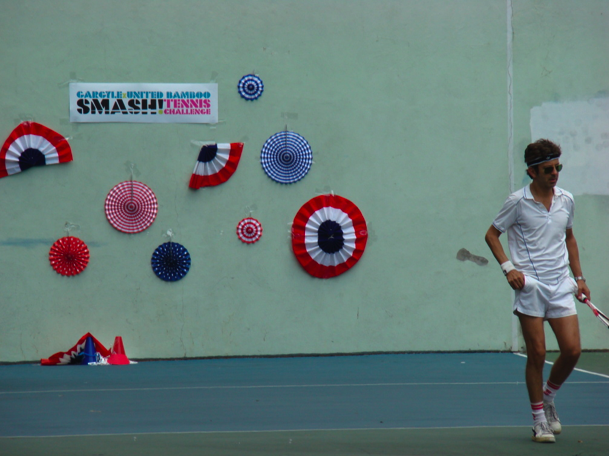 is what you would expect tennis in Chinatown to be like: fun, quirky, oh-so hipster-esque, relaxed and above all — cool. 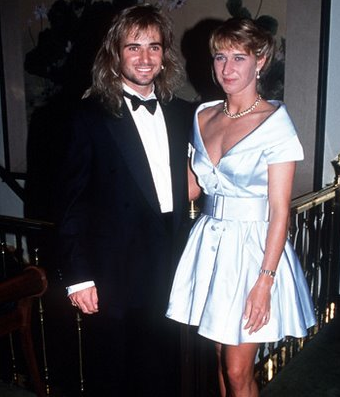 All you need is you: The mixed doubles teams (15 of them total) were all told to dress up for the occasion, some going all out and others choosing toned-down looks. But this is no Wimbledon folks: these outfits are colorful. The teams were broken into groups of five, playing one another in a best-of-three match-tiebreak format (first to 10 points) where the top team from each group would advance to the semifinals and one wild card (Team Lisicki?) would be chosen to participate as well. “There are similar events [around New York],” Vu told me. 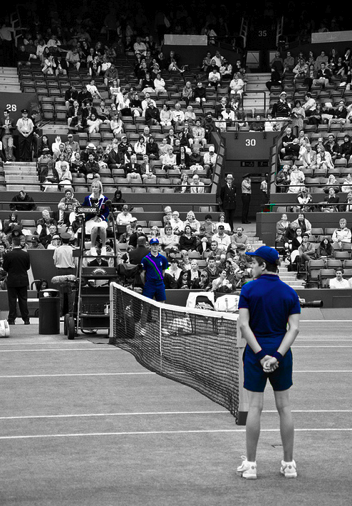 “For the most part there is nothing like this for tennis. It’s a social event. We’re not raising money for anything — it’s just to hang out and have fun. It’s friends and friends of friends who are playing. We run Gargyle just down the street.” While Gargyle operates a few blocks away, the Hester Street Fair was happening just next door, so Troy and I trotted over a couple times throughout the day to snack on donuts (from Wonder City) and a specially-made macaroon called the SMASH! Sandwich. The guys at Macaron Parlour and Melt Bakery knocked heads (at Gargyle’s nudging) to create a tennis-ball looking macaroon that was downright delicious. This pup below is drooling over the thought of such things. Here hunny, you sit here. The Duke and Duchess of Cambridge, better known to us as Kate and Will, made their first visit to Wimbledon today as a married couple. The two took in Andy Murray‘s rather straight-forward match against Richard Gasquet, the Scotsman winning 7-6 (3) 6-3 6-2. Kate looked stunning in off white (don’t you love that shoulder pattern, too?) and Will looked regal in a classic navy suit with a patterned red tie. Billie Jean King joined them in the royal box, as well. so, was it an accident? Best dressed? Sort of cheesy, we know. 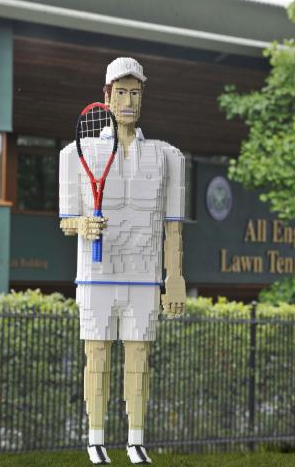 But, like any slam, Wimbledon has plenty of color in its crowds — even if the players have to sport all white on the courts. The WTA has this video on fans around the grounds, and we dig the characteristic tennis-savvy folks on screen/in the stands. No Fruit of the Loom? Lleyton Hewitt goes for Calvin Kleins under his Yonex garb, so it would seem. But the Aussie’s trendy undies and backcourt game were not enough to get him past no. 5 seed Robin Soderling, even after the veteran led two sets to none. The final in favor of the Swede 6-7 (5) 3-6 7-5 6-4 6-4. 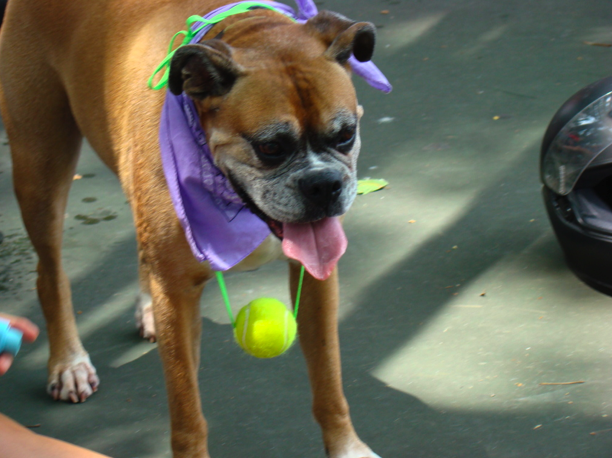 I cannot tell you how many thousands of hours I have spent hitting a tennis ball against a wall. Recently, I moved to Harlem in Manhattan and have discovered that there are hand ball walls just two blocks away from my new place. My afternoons? Now often spent hitting the ball against the wall, with curious walkers by baffled that I’m not playing hand or racquet ball. Much of this fascination is due to the fact that when I was just 12 I read Monica Seles‘ From Fear to Victory, the book that chronicled her life into tennis — including her love of hitting the tennis ball against a wall in a parking lot below her family’s apartment. This last Monday I got the chance to talk to Monday for the third time in my short, young career as a journalist. 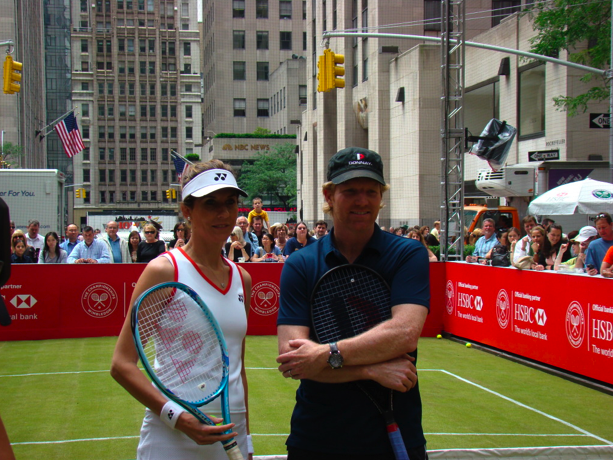 I was visiting HSBC‘s “Wimbledon at Rockefeller Plaza,” a week-long event that the Wimbledon-partnered bank has put on for several year that allows Manhattan to boast a grass court in the city — even just for one week. It was here that I (full disclosure: I was on a media pass both for TennisWire.org and TSF) got to talk to both Monica Seles and Jim Courier. For more on the HSBC event and it’s details, see the Courier post here (or scroll up). TSF: Monica, what about social media? Why aren’t you tweeting up a storm? Monica Seles: I don’t think anybody would care what Monica Seles is eating or what she’s doing. TSF: [Laughing.] Monica, are you kidding?! I think you’d be surprised. MS: I’m an old dinosaur. [Twitter] is more all of these reality show stars that everyone watches. This is how this generation that has shifted. We didn’t have reality TV when I was growing up and now they’re the biggest stars. I really enjoy [my time away from the computer] because I’m on it a lot for work, but you kind of have to. My 10-year-old godson is tutoring me on the computer of how to navigate everything. TSF: But you did Dancing With the Stars, so you’re sort of a reality star. What about trying Skating With the Stars? TSF: But you skated as a kid, right? MS: Yeah, I skated for about a year and a half. That’s what I wanted to be. I loved it. I loved the costumes and all the glamor stuff. But I haven’t been on ice skates since I was 8 years old. I think being on Dancing With the Stars was enough. [The show] was more about art and how you look and how you present yourself. In tennis I didn’t have to worry about where the camera was or what angle to smile at. I loved [Dancing] because it was so out of my comfort zone. TSF: What about favorite figure skaters. Do you have any? MS: I always liked Kristi Yamaguchi in skating and she was on Dancing with me. And I always liked Nancy Kerrigan, too. TSF: So you didn’t get to design figure skating costumes, but you still love fashion. Do you ever see yourself diving into it like Venus Williams or Maria Sharapova have? MS: [Fashion] is something I enjoy looking at, but I don’t know. 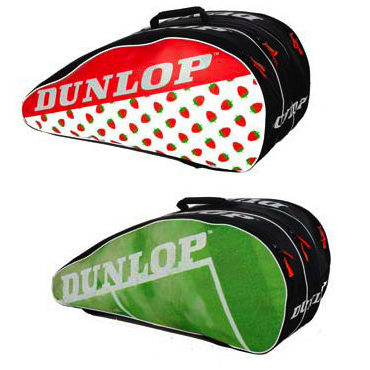 Tennis is really hard because all of the big companies have kind of taken over. I love it when you see the girls come out [for the players’ parties] and you want to see what everyone is wearing. Now, it’s going to be more and more daring. 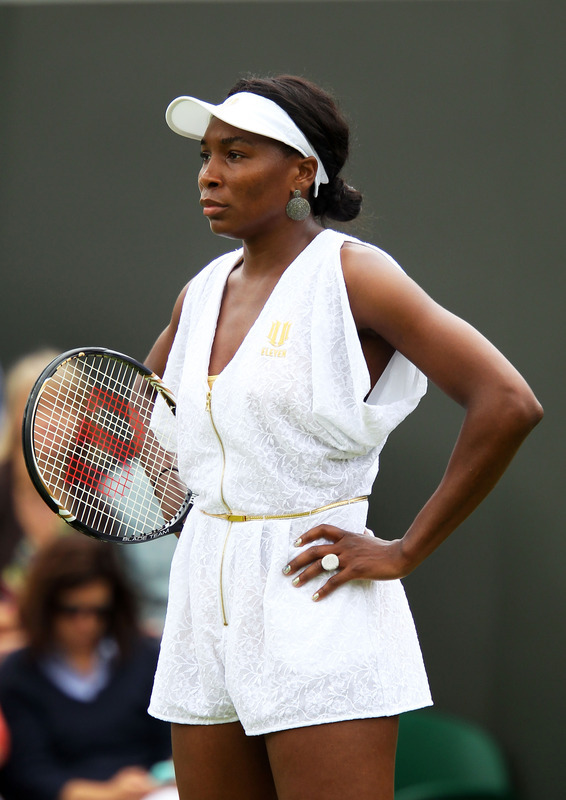 At Wimbledon all the girls got all dressed up and it allows the fans to see the girls in a different light — I like that. TSF: Did you see Bethanie Mattek-Sands’ dress? MS: [Laughing.] No… but I heard about it. I saw Maria’s and Ana Ivanovic‘s. Ana was very classy. TSF: What is one thing that you must do when you’re in New York in the summer? MS: I love Shake Shack in Madison Square Park. It’s really nice to just sit and be outside — I love being outside. You can sit there on a nice day and just have your friends eat with you — that’s my favorite. TSF: Do you ever think there’s going to be a young star again? WTA success seems to be coming at an older age these days. MS: Oh yeah. The tour has their age regulations, but there are always going to be young girls coming up who are powerful. Martina was powerful. And then Stefani. And then me. Then the Williams sisters came along. I think the sport always evolves. Maybe age mentally — how you manage success and fame and money — but otherwise, I think we’ll always have young players coming up.